Still waters run deep and are apparently teeming with evil. Freeform has announced its new Dead of Summer TV series, from Adam Horowitz, Edward Kitsis, Ian Goldberg, and Steve Pearlman premieres Tuesday, June 28, 2016 at 9:00pm ET/PT. 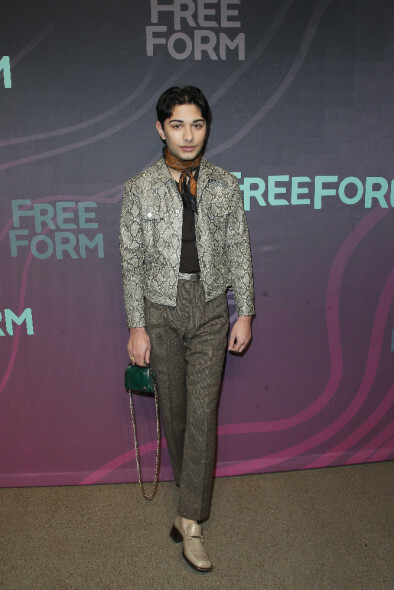 Below, check out new photos of the Dead of Summer cast at Freeform’s 2016 Upfront presentation. A summer camp horror drama, Dead of Summer is set at the too-good-to-be-true Camp Stillwater. 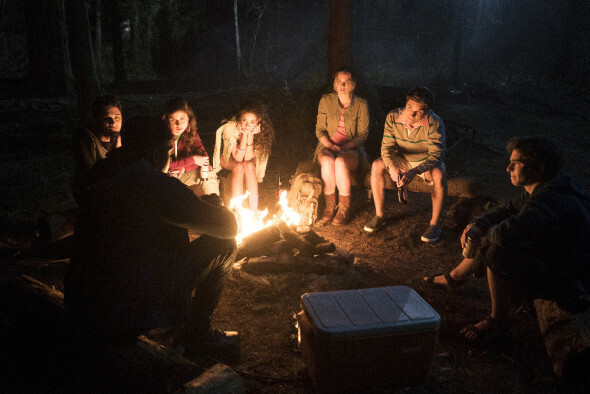 Pictured above, huddled around the campfire, are cast members Mark Indelicato, Amber Coney, Paulina Singer, Elizabeth Lail, Ronen Rubinstein, and Zachary Gordon. Dead of Summer also stars Lost vet, Elizabeth Mitchell, Zelda Williams, Alberto Frezza, and Elie Goree. Elizabeth Mitchell, Mark Indelicato, Zelda Williams (ABC/Lou Rocco). Read Freeform description of the new Dead of Summer TV show. Set in the late 1980s, school is out for the summer and a sun-drenched season of firsts beckons the counselors at Camp Stillwater, a seemingly idyllic Midwestern summer camp, including first loves, first kisses — and first kills. Stillwater’s dark, ancient mythology awakens, and what was supposed to be a summer of fun soon turns into one of unforgettable scares and evil at every turn. From ABC Signature Studios and executive producers Adam Horowitz, Edward Kitsis, Ian Goldberg and Steve Pearlman, the series stars Elizabeth Mitchell, Elizabeth Lail, Zelda Williams, Mark Indelicato, Alberto Frezza, Eli Goree, Ronen Rubinstein, Amber Coney and Paulina Singer. Premieres Tuesday, June 28 at 9:00 p.m. EDT. Here are more new pictures of the Dead of Summer cast, from Freeform. Check out all of our coverage on Dead of Summer, for more information on this creepy new drama thriller. What do you think of Dead of Summer? Which cast members make want to watch? Do you plan to tune in for the Dead of Summer series premiere? Let us know, below. More about: Dead of Summer, Dead of Summer: canceled or renewed?, Freeform TV shows: canceled or renewed? Dead of Summer: Cancel or Renew the Freeform Mystery Series? Dead of Summer: Is New Freeform Series Like Lost?